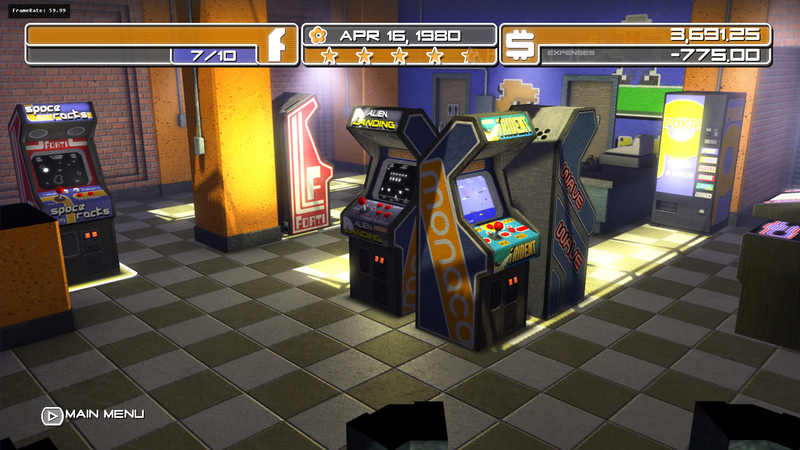 Our 3rd Content Update for Arcadecraft is now available for download on the Xbox Live Marketplace! ◾2 New “Graphics” Customization Options. ◾Pop Machine and Jukebox now show their stats on the purchase screen. ◾Machine Genres are now worth more popularity, but less than in Content Update 1. ◾The employee Rick Pennywise, has been tweaked to empty change at a higher threshold. ◾The game should hold 30fps with around 26-27 machines in the space. This is up a good 4 machines from before. ◾Tickertape bug should be fixed. ◾Hot Square no longer appears outside of the arcade. ◾Unjamming Pinball Machines has the coins displaying in the proper place. ◾Angry Gamer now spawns in more random places. ◾The new environment is not in this update. The reason is that there is currently performance/framerate issues with having 44 machines available on screen at once. It is pointless to ship the new space if it only offers the same machine limits as the current space. We hope you have fun playing the game with the new content! If you have any issues, concerns, or comments, please email us! 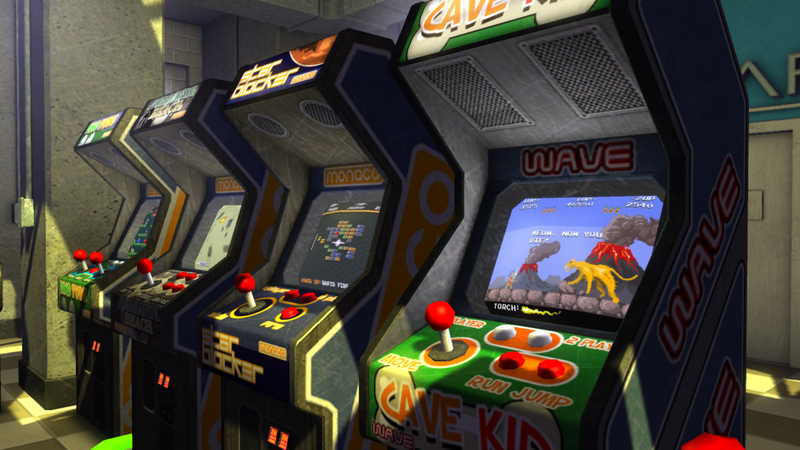 More exciting Arcadecraft news should be coming in a couple short weeks! Thank you for your support! Here are the screenshots we promised! You will notice the 8 new standup machines, the first of the pinball machines, the new environment, and a new car for the exterior! You’ll also notice that everything is in progress and there are obvious errors here and there but everything will continue to be iterated on over the next few weeks. The look is only going to improve as the pieces of the puzzle fall into place! It wasn’t fair to not show you what we have been building after we have been talking about it. Tons of new, detailed pixel art has been done this time around. Graphics started getting really good in 1986! 80s Dudebro violent action games! 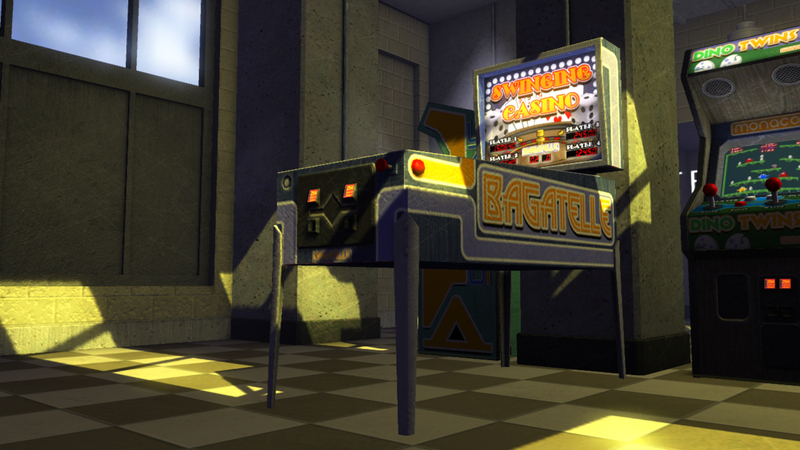 Bagatelle is the new company dedicated to Pinball! 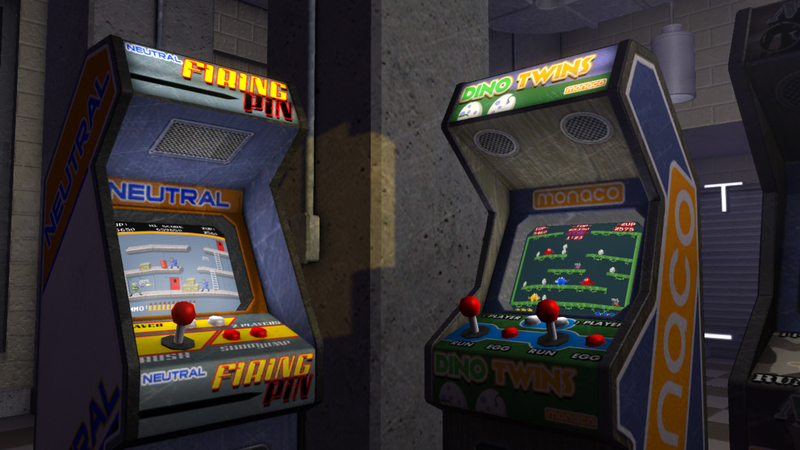 There should be four pinball machines in the update. They start in 1980 and appear every 2 years or so. Thank you for sticking with us and following the progress on the update! Hopefully we will have more to show shortly! 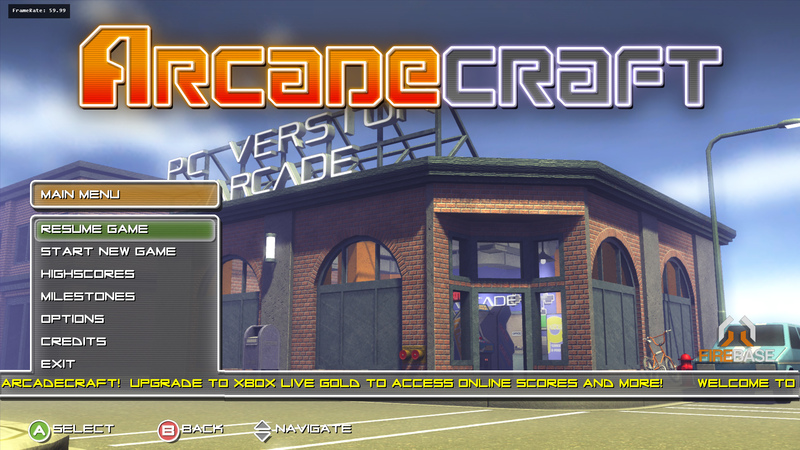 Arcadecraft has hit a grand total of 30,000 sales on Xbox Live! As a result of hitting such a big milestone we have put the game on sale for 80 Microsoft Points ($1). Please tell everyone you know! Thank you to everyone who has bought and supported the game thus far! We really appreciate the feedback we have gotten and look forward to the next update. We will be posting new images late this week or early next week, showing you what you can expect! 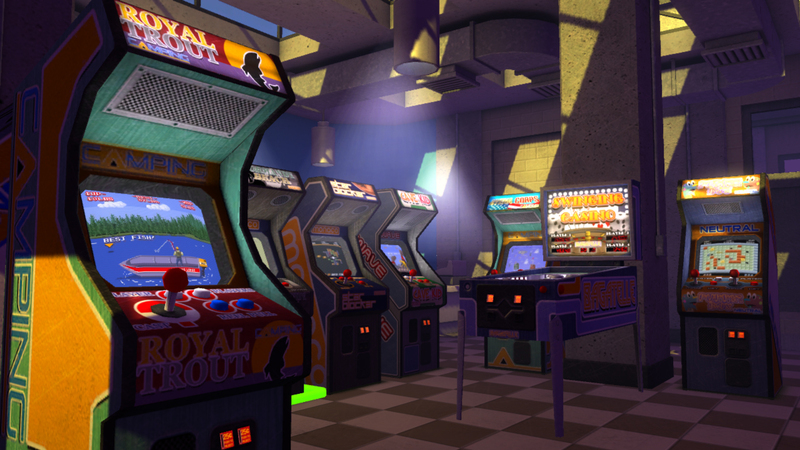 Before we head into the weekend we thought we should update players on where things are at with Arcadecraft. We have added all of the small proposed features of the mini update that we discussed a few posts back. In addition we are adding in the “Current Gross” Field back into the scoreboard so the “Date” field makes more sense. 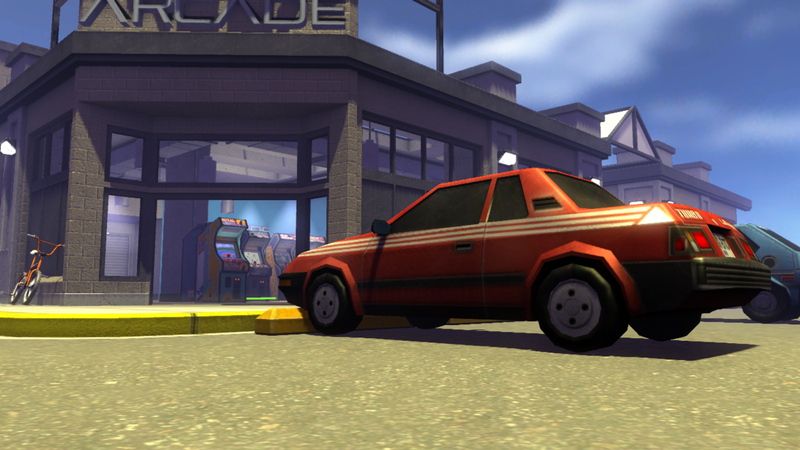 We are now simply testing and balancing the game, hoping to deliver a crash free experience. Ideally the update will enter Peer Review on Tuesday. 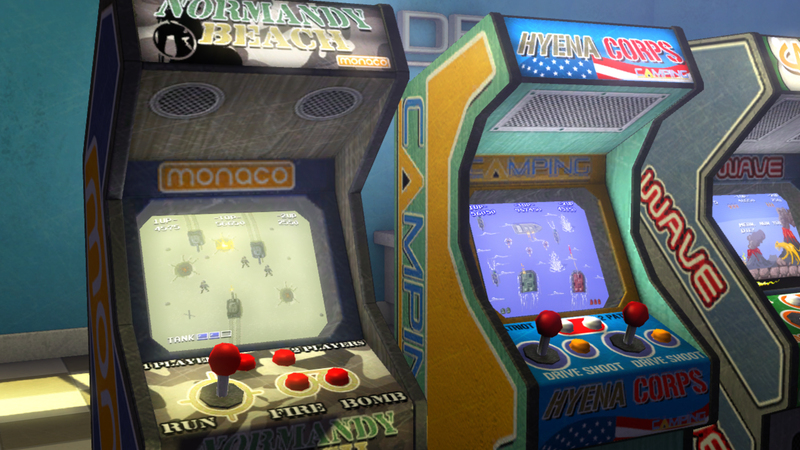 We are happy to show you a small teaser of a few of the new machines. Here are 3 of the 6 we have added. There is a new Manufacturer called Load which has two new games. One of their games, Dojo Duel, adds the fighting game genre a lot earlier than before. Camping has added 2 new games with Forti and Neutral getting 1 each. There is a larger feature that we have implemented but are hoping to save for when we deliver the update to you!